This post is long overdue as I've been meaning to write it for ages! When I took on the task of rebuilding our company microsites, over two years ago, it was an easy decision to turn to Wordpress as the CMS. 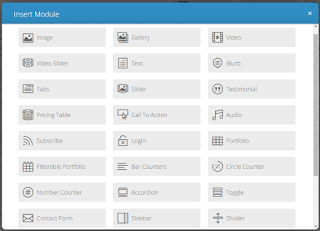 In particular I am a big fan of the Elegant Themes template Divi. This takes all of the complication out of a website build in that it is so malleable. So what is it about the way it uses 'modules' which made it really appeal to me as an innovative way to build and maintain our microsites? As we all know content management systems allow website owners to manage content, sometimes tens of thousands of pages, via easy-to-use interfaces. This is primarily done by using reusable 'templates'. On average around 10 different templates for each website. However, these templates are just that - formulated structures that are ultimately not very flexible. In essence, Web content management systems don’t control content at all. They simply control webpages. It would make more sense to call them template management systems or page management as that's where the majority of the control exists. Content can be a blog post, a collection of data in tabular format, a video, a graphic, or a list of items. It can be almost anything, yet existing CMS platforms are focused on making the content creator live within the mould of the system that has been created. Templates are a prime example of that. They are rigid in behavior, making editing pages which need to do specific things difficult. It’s hard to move parts of a template around. If you do, it usually makes more sense to create an entirely new template. 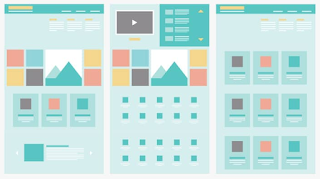 It’s also difficult to control what content populates a piece of a template, in a dynamic way. And because templates are so inflexible, the content stops being content. Traffic routes for modular buildings can prove a challenge! So it's time to take back control and to move to a modular system! This was first introduced to me a few years ago via Divi and the concept is something which has been used for years in all types of manufacturing. 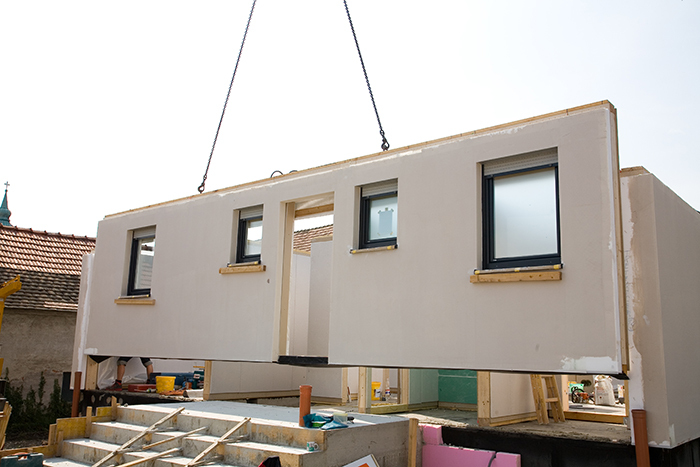 For example, at Kier we have embraced modular building where 4,000-square foot houses are built elsewhere and bought in on trucks. Pretty much all manufacturing is based on this theory of reusable parts. How does this theory benefit web design? By changing our perspective from the design and management of templates, to instead the design and management of pieces of content or design. I've heard them referred to as widgets, modules or building blocks and they can just slot together in countless different ways. 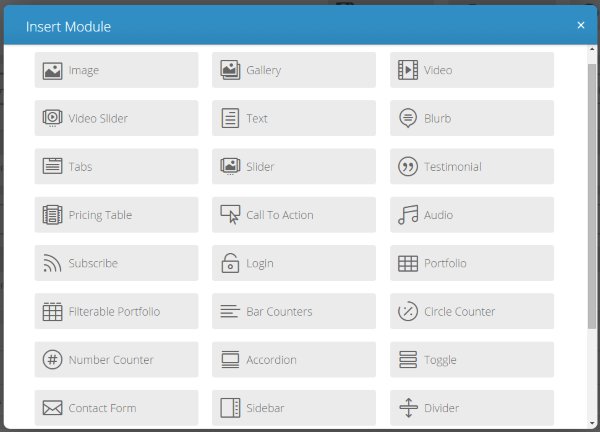 To build in WordPress using the Divi theme we now simply create a new page, select the column layout and then the types of content which appear in order. For example, we may want an image above some text or something more bespoke like a filterable portfolio or contact form. We can then edit them on the fly right from the page editor. If you want to reorder the modules just reposition them up or down on the page or move the columns. It’s easy. 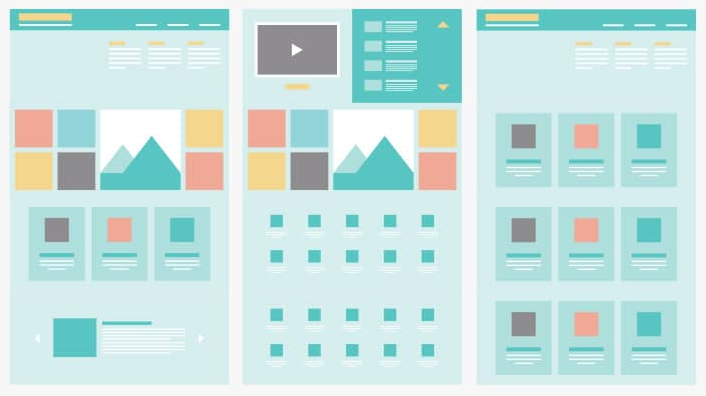 To take this to the next level, true modular web design starts at the design stage if the CMS is flexible enough to handle it. During this process a developer cannot create modules based on a template as they do not understand what a marketer does and doesn’t need to accomplish. This needs to be a collaboration from the beginning. I am a massive advocate of all websites being built this way. Templates are bloated, antiquated concepts. They have a large amount of dependencies between themselves. Modules are flexible and adaptable. An entire webpage should be a set of modules from top navigation down to the footer navigation. This massively aids iterative design as a methodology of constant improvement. It also makes the job of the web editor very easy. Modular designs are cheaper and quicker to develop too. Even if you only have 5 modules built a new site can be launched with hundreds of page possibilities. Launching the site as a minimum viable product still means it can have a measure of uniqueness that a template driven site can’t achieve. This is a massive topic and one I no doubt will revisit as we move into the redesign of our new company website. The future and possibilities of modular web design are very exciting and extend far beyond our use of themes in our microsite provision. By building this methodology in from an early stage it solves many problems without being too complex a concept or too complicated to manage. We won! 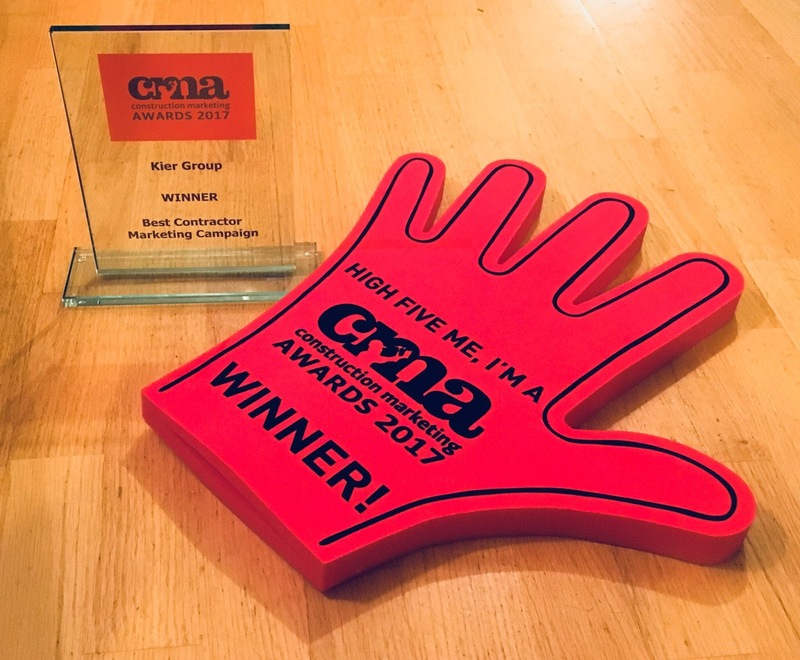 On our third attempt at bringing home the coveted Construction Marketing Award we collected it in true style at the biggest ceremony yet. In all honesty if we didn't win for our 'Shaping Your World' campaign then we never would have won! 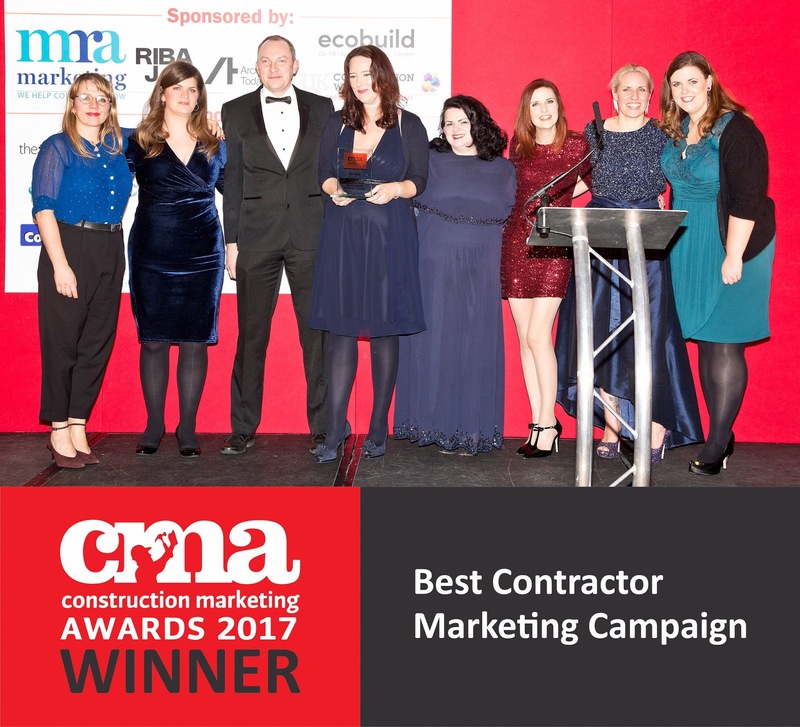 Being awarded the 'Best Contractor Marketing Campaign' is testament to almost a year's worth of work. We have lived and breathed this for so long (with all of the various complexities) that now seeing how well received it has been, in the business and beyond, is amazing. I've already had over 100 likes and comments on my LinkedIn post announcing our win - and we're still only at the beginning of something we intend to keep growing. Delivering something of this scale required work from all disciplines - marketing, PR and internal communications so we can all be equally proud of this achievement. "A great project, focused on a really urgent challenge for the industry. Initial response looks very encouraging. Creative and innovative, a great campaign, well executed". As the six of us made our way up to London for the ceremony spirits were high. After finally settling on our outfits (I had a tough decision to make between black tie and black BOW tie - it's not easy being a man) we headed to the Radisson Blu in Portman Square. 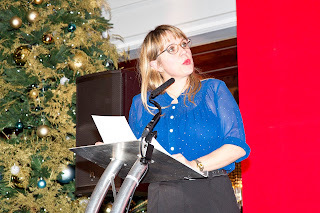 Comedian Kerry Godliman compered the evening where we were one of the only contractors in attendance. 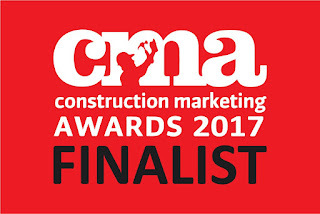 This didn't matter though - we were shortlisted in the 'Contractor' category after all! It can be a lot of work writing these awards submissions but the value of them cannot be underestimated. For one it's a celebration of the team's hard work in getting us there so it was up to us to enjoy it! It also helps spread the reach of our campaign further and, as I've already seen on LinkedIn, works as an impetus to get some genuine employee advocacy on social media. Personally, I found the process of writing the submission was a lot of work but allowed me to distill down the main elements - thus helping me to concisely sell it in to clients and colleagues. Compiling all of the analytics meant I could also use these for reporting internally. With so many metrics the important part is focusing on which best prove success and teach us the lessons of how to enhance it yet further. Whilst I have continued to win personal awards (mainly for this blog!) I am very pleased to finally have one for the work delivered by the team. I feel that with this award I have now fully transitioned to the B2B private sector. At times this has been pretty challenging as getting to grips with a business this size is no mean feat! However, without excellent knowledge of the business no marketer can get anywhere close to succeeding. The changing nature of all business means that this is an never ending job but it definitely stops boredom setting in. This also helps enthuse and excite about the scale of what is being done. By caring and admiring the work delivered it's a much easier job to sell it - and we are all salespeople whether we like it or not. There is no wind-down for Christmas for our team as we host our annual client drinks at the Imperial War Museum back in London tonight. Kier deliver all of the facilities management to the IWM so it's a very apt venue. My role has mainly been around the creative elements of the invitations and how we continue to promote 'Shaping Your World' to all audiences. With an award in my pocket and a giant foam hand this will be much easier than it would have been this time last week! For someone who constantly craves time at my desk to tackle my 'to do' list this blog contains a lot of tales of my travels! So, this week I've been out and about continuing to promote our latest campaign 'Shaping Your World'. With the amount of work it took to get us to this point the fact that's it's grown legs around the business, and beyond, has been very satisfying. One of the main strategic goals of our central marketing function is to provide integrated campaigns that the entire business can utilise. With 21,000 colleagues across four divisions this is no mean feat and required months of planning. But we have already proven that this adds value not only to winning work but also to existing contracts. I was the only non-Anglian Water van in the car park! This is why I spent two mornings this week presenting to 400+ colleagues on the Anglian Water contract. This is a big one for the utilities business with the challenge being that Kier employees are so embedded with the client they sometimes hear more from them than their actual employer. By hosting a two day event (at the Hallmark hotel in Cambridge) it allows them time off work to hear about our latest benefits and initiatives. Given that I have presented on this topic, to different audiences, on many occasions it was still a challenge to fit it all into 15-20 mins. Especially as I was all that stood between the audience and their lunch! However, it was really well received and started the conversation with many colleagues volunteering to be Kier Ambassadors. My second trip out this week was definitely for a much larger audience as we took 'Shaping Your World' to the World Skills Show. This is a first for us on this scale being held at the Birmingham NEC over three days. The amount of preparation to get us there was immense with all of us working until the final hours on stand designs, t-shirts, freebies and staff rotas. I had oversight of the technical elements of our stand in the build up. We asked visitors to complete our avatar quiz in order to receive a personalised notebook. All they had to do was enter their name and have a printout of their avatar affixed to the front! I managed the team on the Friday so arrived bright and early to get setup and deliver the briefing. 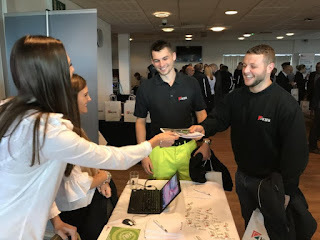 We had helpers from all areas of Kier, from graduate to director level, and they were amazing at speaking to visitors about the opportunities in the built environment. Whilst it started quite slow the coach loads of school children all descended on us around 11am with swarms of them invading our stand! In fact, the personalised notebooks were so popular that we could barely keep up with demand! Design-wise our stand did definitely look the busiest but in some ways this worked in our favour. It stood out from the crowd by presenting a traditional career in a modern way. It wasn't just school children who approached us as we spoke to teachers, parents, the cabinet office and even the girl guides. After three days of this there's no doubt that our campaign has now been bought to the masses and it's my job to ensure that this is measured. Whether it be avatars built, or jobs searched, I'll now be crunching numbers to prove this activity was worth our time and investment. The favourite bit for me is seeing how well 'Shaping Your World' is received by all audiences. In particular the target audience of 11-15 year olds loved the avatars and their notebooks had them grinning all the way back to their coaches. There are countless examples of companies who pertain to be 'digital first' thinkers but this merely amounts to them having a Facebook presence. Almost every company can boast of this now - even very traditional trades such as funeral directors or shoe menders! Simply having a digital marketing strategy is not enough to make a company innovative. Having worked in construction now for nearly three years I've seen a very traditional industry commit to the innovation agenda by embracing digital pretty much across the board. This was no easy feat but now conversations all being by at least paying lip service to 'testing and learning' and 'user experience'. But are companies with digital strategies actually implementing them properly? I've seen many examples of companies who have a very light-touch digital presence but still continue to be successful and forward thinking. 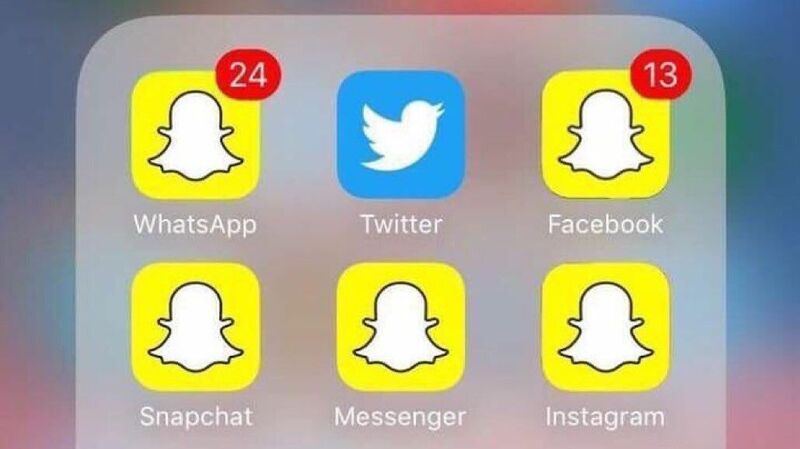 Apple, for example don't even have an active Twitter account. I've attended many meetings in my career where the internet has been addressed as a problem. It's seen as something which has to be addressed in the marketing mix but not in a positive way. One to add to your bucket list! Surely one of the most exciting periods to be a road planner must have been when the motor car was popularised. There were suddenly possibilities to design road layouts and infrastructure that never existed before. 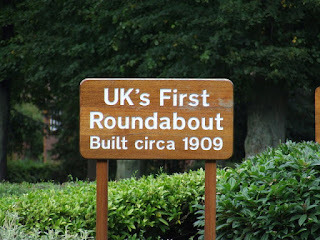 This weekend we drove over 'the UK's first roundabout' in nearby Letchworth Garden City. It all seems rather ridiculous and quaint now but it got me thinking how the designers must have been very excited to see their new design finally come into fruition. It was a chance to innovate and really influence user behaviour. 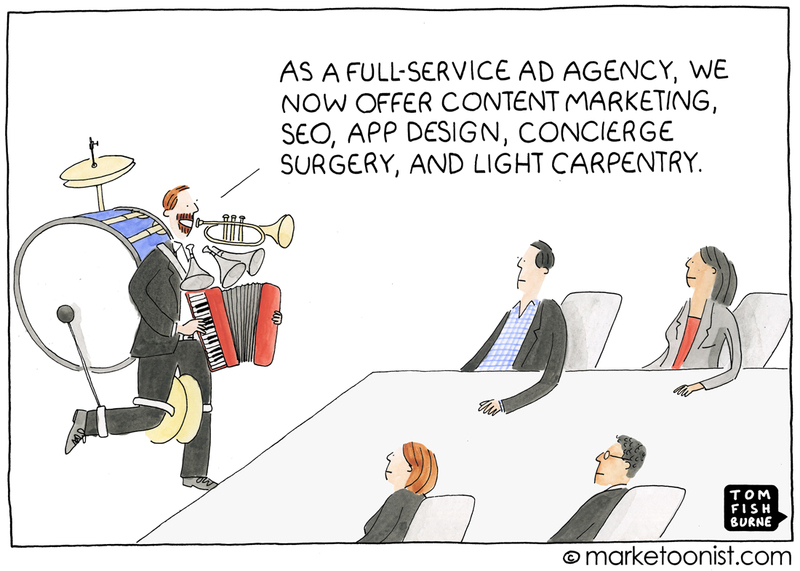 Conversely, I've never seen a group thrilled by the prospect of the new canvas of mobile adverts or live video. Instead the default position is to take a small part of the advertising budget, re-purpose a creative execution from another medium and link it through to a website. Sometimes the creative execution may vary slightly, or a bespoke landing page is built, but this is the extent to the levels of excitement. We know from the research conducted for our latest campaign that millennials are not hard to reach. They're surgically attached to their phones highlighting that we need to challenge everything that has been done so far. It's time to think positive, shake off defeatism and get excited by the new possibilities that are popping up all the time. Of all of the questions I was asked at the CIM event earlier this month the one that stuck with me most was 'how long should I make my brand's videos?' What I should have said is that creating minute long case study interviews, or a series of 1 minute adverts, no longer gets me excited. Instead, it would be much more interesting to make 10 to 20 sequentially served 10 second adverts to tell a story. Six second ads are hard, we can’t tell the whole story, we need to capture attention immediately, but what a great challenge. A story arch that peaks one second in, a handover to another unit that gives more information. A series of 10 or 20 units, served knowingly to individuals across screens, to hook them in and move them further down the funnel. 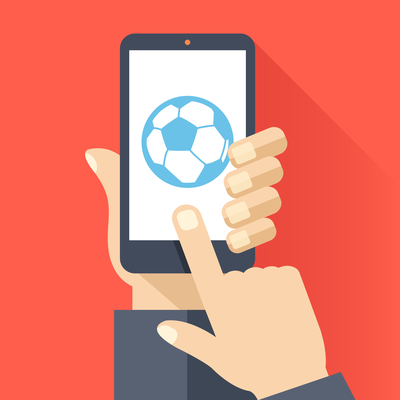 Users who skip ads can be given a message to entice them in. Short ads are wonderful if we are to rethink how to earn and reward attention, rather than replicating the way old TV used to advertise. This is one example of a change of attitude that is all too rare in how money is spent in digital. Instead we see countless examples of bad retargeting ("I've bought these shoes why are you still advertising them to me!") or adverts that aren't timely, relevant or just click through to a webpage. By making things more interactive and immersive we cannot help but stand out and get excited about the opportunities new technologies bring. It’s been too cheap to pay attention to and too ineffective to spend much on media or production, we entered a spiral of decline that never worked for brands, publishers, agencies but most of all, people. By raising our ambition we can then experience the excitement of Barry Parker and Raymond Unwin when they unveiled the UK's first roundabout in 1909! Another week, another chance to hit the road to share some learnings both internally and externally. For the former I've been playing my part in the annual Kier Employee Roadshows. These took place over 9 days at the beginning of the month with 21 events organised in 16 locations across the UK. During this time, over 3,000 Kier people attended to hear about the latest financial results and to take part in discussions around the theme of innovation. Last year I had the perfect excuse to not help out given I was on paternity leave. This meant it was time to pull my weight by attending the inaugural Roadshow in Liverpool followed by another in Sheffield. The bulk of the planning for these is expertly managed by our Internal Communications team. It is then up to us to ensure everything runs smoothly on the day and to liaise with the hotels, couriers and AV technicians. I am pleased to say that my shared duties of setting up the room, hosting the Q&A and MC'ing the event all went well. This all contributed to a success for what was a massive undertaking for all involved. 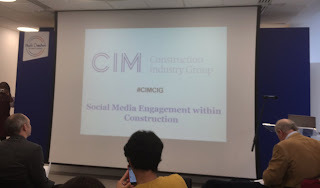 Then last Monday, I headed into London to present as 'The Construction Blogger' to over 100 CIM members and students. This event took place at the Saint Gobain Multi-Comfort Centre which was conveniently only 3mins walk from our London Office. It was organised by Chris Ashworth of Competitive Advantage who was presenting their latest research on the use of Construction Media. I was pleased to write an article for the social media section of this which will be shared as a guest blog post at as later date. Su Butcher, director of 'Just Practising' communication consultancy was to be the chair and we also had case studies from Will Scott of LinkedIn and Anna Hern of Ridgemount PR. 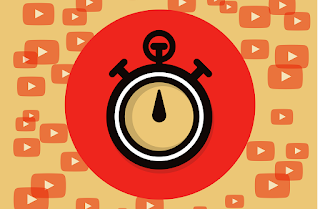 One thing that struck me is that some of the attendees asked for magic solutions for the right length of video or exact time to post content to gain traction. If only it was that easy! For me this depends so much on the message, your audience, the medium and your brand. Whilst you may get a head start from the learnings of others the only way to accurately gather this intel is to start posting and analysing yourself. In time you'll know exactly the right messages, timings and creative executions which work. It was a great event and should hopefully be the first of many given that it was oversubscribed and the positive feedback. Of course, no recent blog post would be complete without a mention of our campaign 'Shaping Your World'. 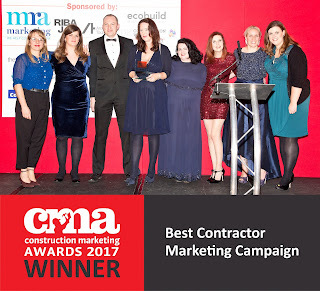 The aforementioned CIM Construction Group are responsible for running the annual Construction Marketing Awards in London. Each year I've been working in this industry we've been shortlisted for these but are yet to win the big prize. 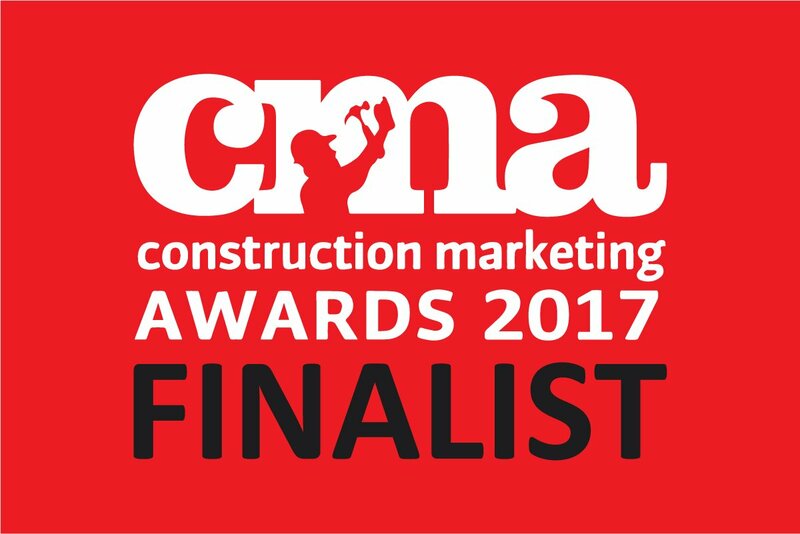 For the third year running we'll be there but this time in the 'Best Contractor Marketing Campaign' category. These awards are due to take place on 30th November and I put nearly as much effort into the submission as I did the campaign creative! Roll on 30th November. I'll be the one biting his nails and rocking back and forth in the corner as our category is announced...! For my final post in this trilogy of focusing on our new campaign I'm going to look at another industry-wide issue which we sought to address. 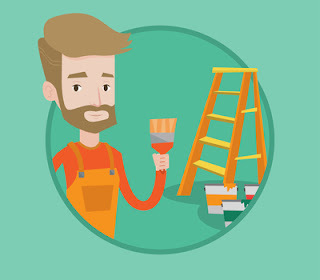 Working in the built environment there are many misconceptions of the sector among students, parents, teachers and careers advisors. These range from it being poorly paid, just consisting of manual work or that it is male dominated. 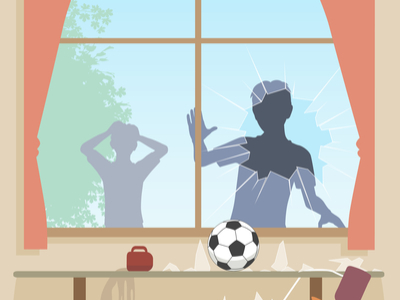 To prove these stereotypes exist we surveyed 2,000 parents, teachers and careers advisors at secondary schools and academies in the UK state sector. This was published in a report alongside one-to-one interviews with careers advisors and education professionals across the UK. This highlighted the key issues (listed above) which 'Shaping Your World' was devised to address. For launch, we wanted to set out these issues in a way which would be picked up by the media from broadcast and national to regional and trade. Due to us having a clear solution to a well known industry issue our PR team manged to get some great high profile coverage. This ranged from an 8 minute interview on Radio 4 Today programme to quote of the day in the Independents ‘I’ newspaper. Our people will share their pride and passion and help students better understand the breadth of roles available across the built environment. While this activity was already taking place in pockets around the business, the pledge and universal training ensures that we all sell the full spectrum of the built environment. One of my responsibilities was the build of an internal microsite to communicate this and to act as a repository for the training materials. 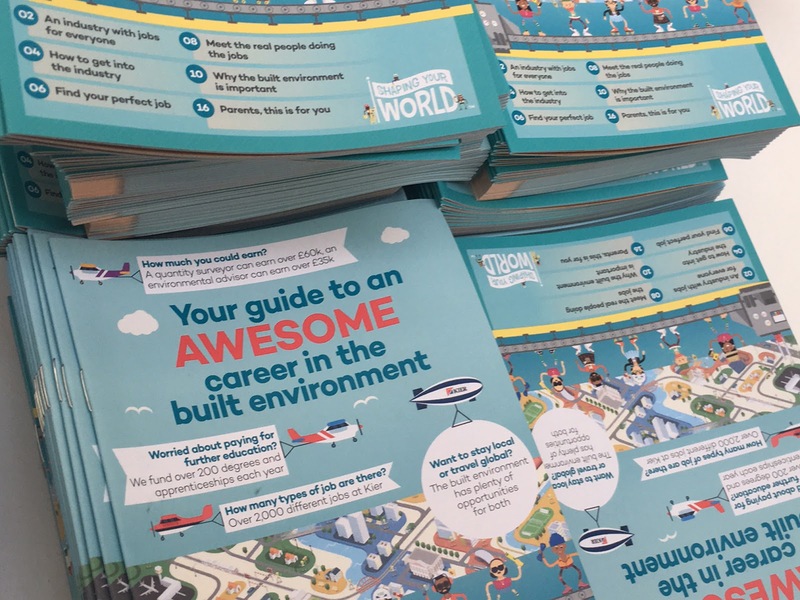 On here colleagues can also order our ‘Awesome Career in the Built Environment’ a new printed booklet to hand out at school visits that contains key facts about the industry, including real life examples of people doing their jobs and routes into the industry. Before and during launch we delivered a full social media strategy via our organic channels. 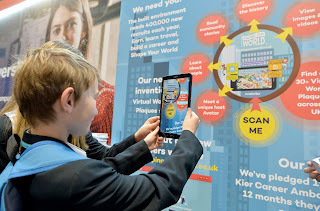 This encouraged engagement with the campaign and supported outreach by providing useful content on the use of the Virtual World Plaque technologies and encouraged conversations with schools to support our outreach targets. 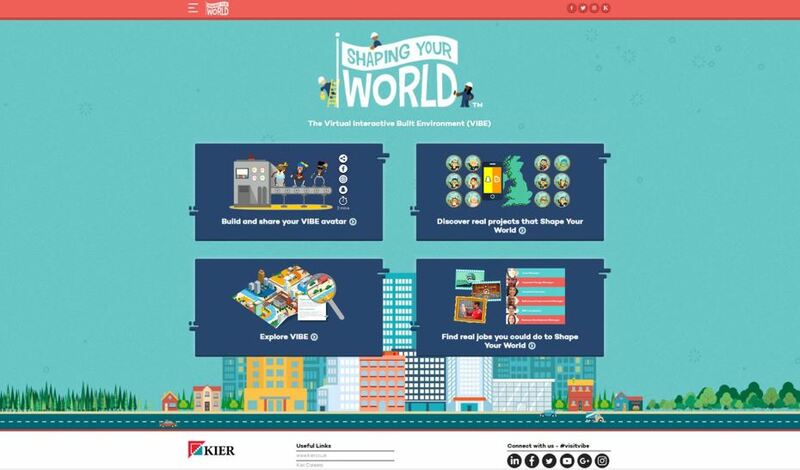 We also asked Kier colleagues to change their social media profile picture to their Avatar for the first week of launch to generate viral recognition. I was complimented at least twice on my attire. Clearly a waistcoat is a good look for me! To launch the campaign externally we held two large public events on Saturday 2nd September; at the Arndale Centre, Manchester and Westfield Shepherd’s Bush. 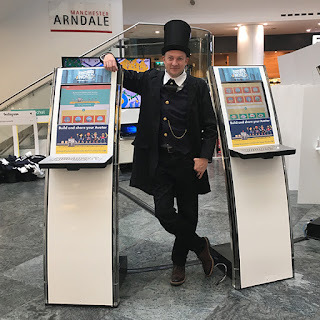 I was at the former and used the opportunity to join other colleagues in dressing up as Brunel! 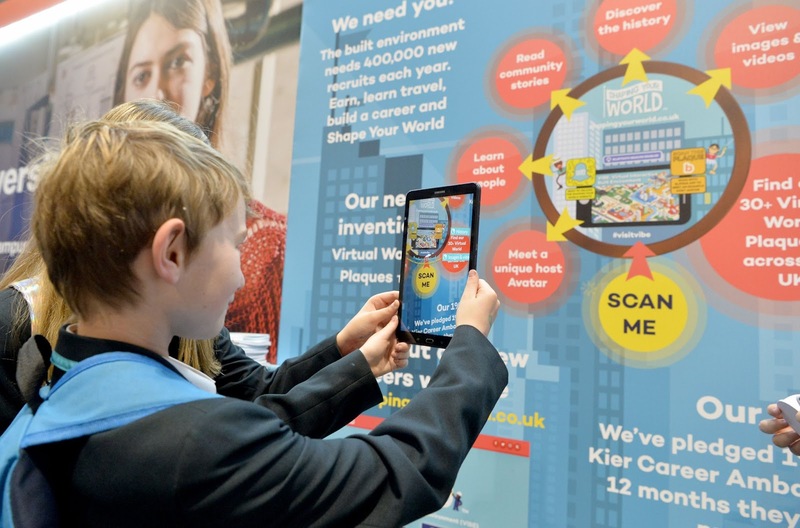 We used digital kiosks to attract people to make their own avatar, take photos with our Instagram/Snapchat boards or take away our careers booklet. This was one of my favourite parts seeing all the team's hard work be so well received. This campaign has been an enormous labour of love for all involved. I have worked flat out on it for months, alongside the whole team, to show our commitment as an innovator in a sector that is often quite conservative. It has already sparked conversations and invitations to present to our peer community of contractors who have been crying out for new pride and passion collateral and an Ambassador toolkit. I love a good presentation! The complexity of this campaign is impossible to do justice to in three short posts. We still have lots to add and develop over the 18-24 months we intend it to run. No doubt I'll be mentioning it again at some point as it really has been all encompassing...! 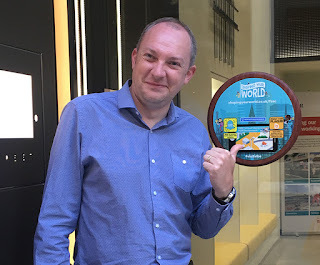 With our Virtual World Plaques working as an enduring method of linking to a digital archive we needed somewhere to host the content. Due to the size and objectives of this campaign this had to be much more than merely an archive of projects. This is why we set to work on building the 'Shaping Your World' website (subtitled VIBE - The Virtual Interactive Built Environment'). The user journey of this was to begin with something more fun and interactive before guiding them through to more in-depth careers related messaging. 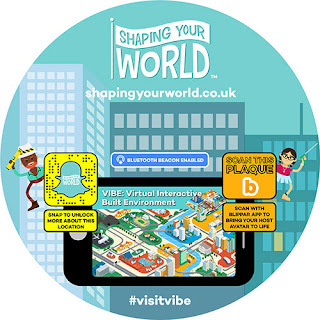 To make this site more engaging and socially sharable we created the VIBE avatar builder, a fun and irreverent 2min quiz that results in a built environment avatar. 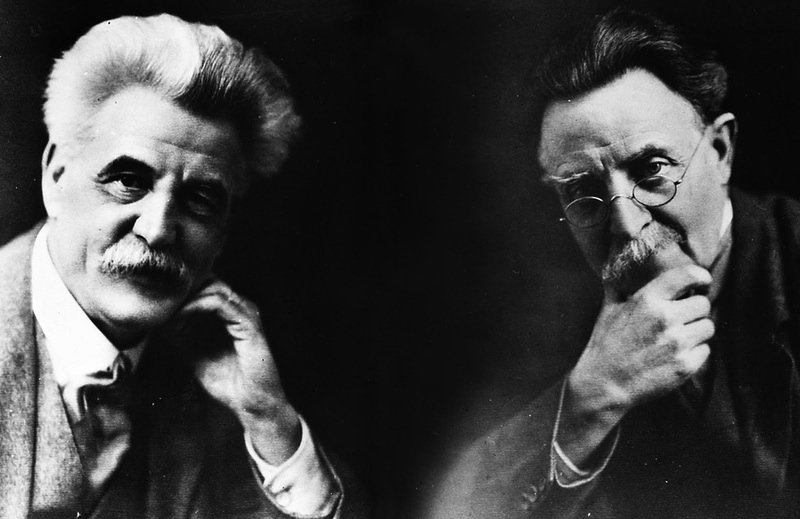 This element proved to be the most complex and contentious of the entire campaign. In setting the tone we would fail before we began if it wasn't immediately easy, fun and quirky. The meetings to design it were certainly fun - ranging from designing images for the questions, the results text and the elements of the final avatars themselves. These ranged from 'VIBE' caps to road sign necklaces to an Australian hat with traffic cones instead of corks! Once we had designed all the elements we set to work on defining the logic and animation based on the answers to 8 questions. 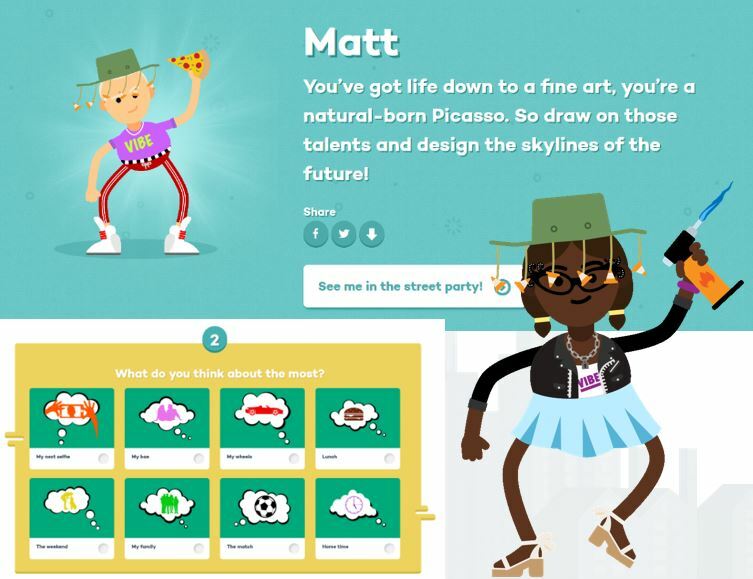 On completion these avatars could then be shared socially or can join the 'street party'. This element populates the street scene with all of the avatars that are created meaning people can find their friends. The second section of the site is the interactive built environment itself. A 3D street scene with clickable elements to break down myths around the breadth of areas covered by ourselves and similar companies. 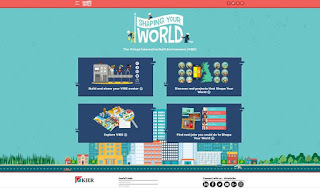 Once clicked, these elements open lightboxes giving detail on the each element and, as we begin to pepper in some brand messaging, the contribution of Kier. Of course, the third section comprises the projects themselves easily navigable via a Google map. We skinned this to ensure it was in the same style as the campaign and even manged to include some animation (e.g. boats and sea creatures bobbing around). 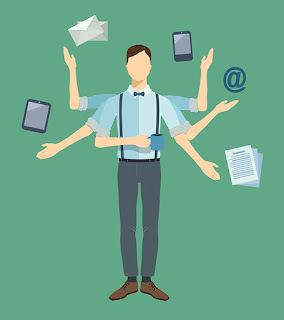 These projects will be constantly added to and all contain unique host avatars to curate the content produced in liaison with each individual client. The final section contains the most meaty content as we weave in our brand messaging. We also used the resources available to us by prominently featuring our people. Our research showed that our target demographic engages more with emotions as opposed to facts and figures. With this in mind we interviewed people from around the business with amazing stories to tell and set to work animating them in the style of the campaign. We then asked for submissions from across the business to showcase the variety of job roles (we have over 2,000) as lightbox mini-interviews. This coupled with a selection of social value stories and images gives a complete picture of why our people enjoy their roles and covers a vast spectrum. The meat behind this section is then the links to our job search and new careers resource. 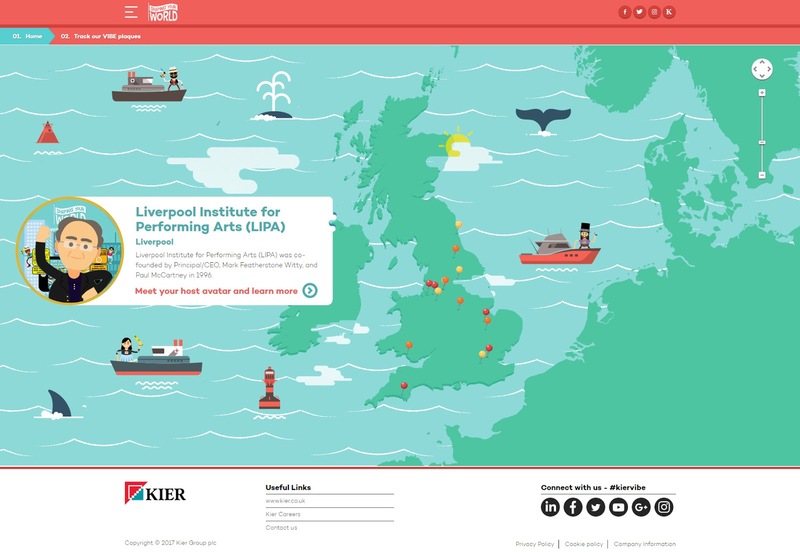 An enormous amount of work went into making this website a reality. With so many different interactive features it needs close monitoring and maintaining and is designed as toolkit to our forthcoming schools engagement programme. I'll cover analytics and measurement in my final post on this campaign but we are already overwhelmed with how quickly it has taken off. I was pleased earlier this week to be able to share some of of my key learnings from this project at the annual 'Digital Engagement Conference' where I presented the keynote. Although it meant a 5.15am wake up call to get to Manchester I had a great time meeting other digital professionals and sharing our experiences. As always, new technologies were a key theme and I feel very favoured to be able to constantly try new things in a way that many large corporate companies do not. Recently on this blog I haven't been sharing a great deal of my current work projects. This is because we've been working flat out for months to deliver out latest campaign 'Shaping Your World'. 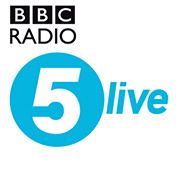 After finally going live over a week ago it is the most complex campaign on which I have ever worked - including radio appearances, a research report, a public launch, hoarding designs and careers outreach. 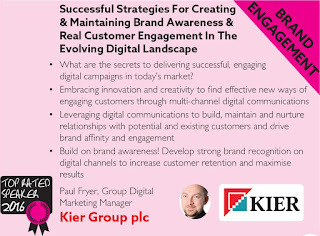 So, I intend to spend the next few posts giving an overview of my key (digital) tasks - the campaign look and feel, virtual plaques, stakeholder/client presentations, the website, videos and the social media strategy. Working in the built environment means we have the benefit of having great relationships with our clients. We knew that if we could showcase completed/ongoing projects then we could highlight the legacy they add to local communities across the UK. Every site visit I go on I hear amazing stories about how they are delivered or how they are giving back to the community. Those stories are shared in the moment, but we have no way of showcasing all this great content in the longer term. With this in mind we would create an enduring legacy touchpoint and an innovative differentiator with clients. These literal plaques would be either attached to client buildings we had delivered or would be placed on hoardings. Members of the public would then interact with them on their smartphones to link through to the campaign website and discover the details of the project itself or the build. This would be hosted by a unique avatar of a celebrity/historical figure of particular relevance to the project. It was up to me to then look at the design of these plaques and how people would actually interact with them! We decided early on that our company branding would be kept to a minimum. This would ensure they benefited the clients as well as us but also so they didn't look like an advertising campaign. We wanted a variety of ways for people to access the website and quickly settled on Snapcodes as an evolution of QR codes. The thinking being that the target demographic were much more likely to have Snapchat on their devices than a QR reader! Alongside this we ran lots of trials with Bluetooth beacons. Of course, we didn't expect many people to have notifications enabled for these (or have the latest Android OS) but those who did would be alerted to the plaque's presence and content as they walked past. Finally, we wanted something which made the plaque itself come to life in the form of augmented reality! After looking at lots of different solutions we settled on Blippar. Once the user had installed this app scanning the plaque meant the host avatar popped out in front of them and began curating the content. These vary from a Friendly Troll for Mersey Gateway to Emelie Sande for Aberdeen Music Hall. Our visit to their office was particularly interesting in that we were the first non-agency clients who had ever approached them! They also had never seen their logo coupled with Snapchat's who they see as a competitor. 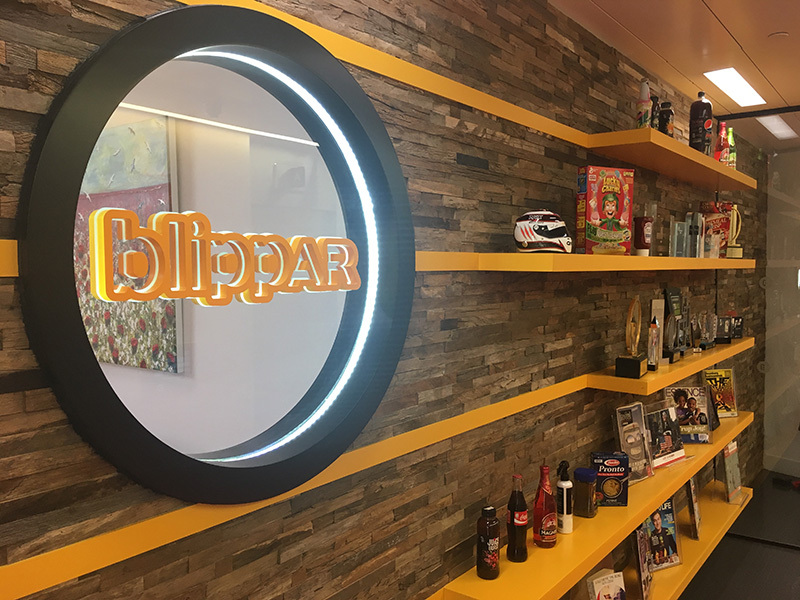 The process was a lot easier than we initially thought too as we utilised their self-service 'Blippbuilder' (helping them iron out any bugs along the way!) The difficult part was ensuring the plaques were different enough for the plaque to register as unique but also all looked part of the same campaign. Each of these methods would all have unique tracking URLs to ensure we could see which were being used and adjust future plaque designs accordingly. This unique collection of interactive elements led to us trademarking the plaques. Going forward we plan to add many more as part of our bid process. We already have lots of requests now that they have been spotted out in the wild! As a result of this the FA have promised to do Baldock's tweeting for them in the next round so Kenna can concentrate on playing! This raises an interesting point with regards to multi-tasking in Communications and Marketing. I see lots of evidence to show that these disciplines are very often just tagged onto people's job roles. Lots of people have Comms and Marketing listed in their job descriptions but very few actually have any qualifications, or advanced skills, in these disciplines. Of course, no-one would ever dream of asking a barista at Luton airport's Costa Coffee to fly a plane as part of their duties. So why is marketing not seen as a specialist skill which is best left to the professionals? For me the difference is between implementation and know-how. In the past I have spent a lot of time training colleagues on social media strategy. Sometimes it's easy and they really get what is required to run a successful campaign/account. But sometimes no amount of training can teach the innate judgement and planning required to not compromise the business as a whole. Another factor is that when people see the finished article - the advertising campaign, the packaging, the new flavour, the shiny social media campaign, it's tempting to think that these things are relatively simple and straightforward to plan and execute. But those of us "in the know" know. It's a long hard slog. 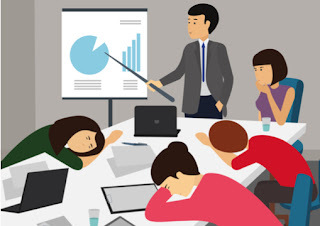 It involves hours of analytics, focus groups, competitive intelligence gathering, furious debate and days of navel-gazing, followed by panic and frenetic middle-of-the-night calls as the deadlines loom. Followed by more furious debate - over semantics, phrases and word choices. And that's just to write a halfway-decent brief! 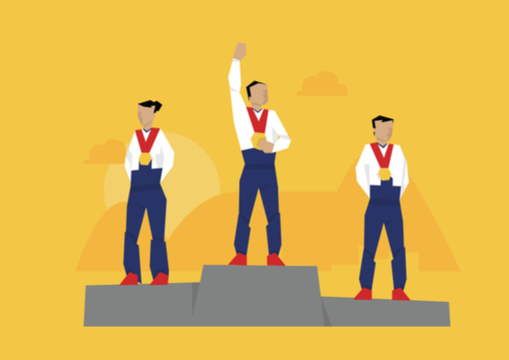 The point is that we marketers need to own our skills gaps, and we need to do something about addressing them, so that we deliver world-class marketing and world-class advertising for our brands and our businesses. We will potentially lose the privilege of a place at the top table and could be viewed as a "nice-to-have", rather than as an essential business driver in the cut-throat economic times we live in. Marketers must try something different with their campaigns and spend our budgets wisely - we can't afford to waste those resources. It's up to us to champion Marketing and Comms as professional discipline and not just something which anyone can pick up and put down. The real way to do this is to instill discipline in teams and to act as consultants who recommend and advise on the best way to achieve results. If all we are doing is serving up a menu of channels for clients to pick from to get their message out then there's no hope of succeeding. By presenting evidence, a clear opinion and judgement we'll be taken much more seriously. The same is true with demonstrating practical skills in writing, designing and project managing. Where these are lacking people will be quick to assume Marketing is something which they can pick up and play with. As it stands Baldock town's Twitter account isn't actually half bad in the content it posts if the aim is keep people updated on the match. But brands need to be much more sophisticated with the variety of content they post if their social media strategy is going to evolve in the long term. I was always the penultimate person to be picked in football at school which gave me a good idea of where there was room for improvement! Whilst on holiday I've been following some of the London 2017 World Athletics Championships. These have mainly been notable for the final races of both Mo Farah and Usain Bolt. The latter in particular has been at the top of his game as 'the fastest man in the world' for many years. His legacy as a top athlete and sporting personality is indisputable, however his swansong proved not to be the party many had hoped for. Both of these athletes proved that their best days were behind them as they took home silver and bronze respectively. Of course, age catches up with us all eventually and remaining at the top of the game is hard enough at the best of times. There's always someone younger, hungrier and more confident ready to take your place. Within digital marketing the struggle is still there. Whilst there is by no means the same pressure or expectation, staying motivated to always do your best can sometimes be tough. Where this differs as a job is that things are always changing and you have to be constantly running to keep up. There's that project that feels as though it will never come to an end. Sometimes you can’t even begin to see the light at the end of the tunnel. You try your best and still don't see any results but your boss demands more. A little bit of your soul can lose motivation. The truth is that this happens to everyone at some point. Even to the most talented individuals who make awesome feats look effortless. The trick is to stay positive and not lose hope. You can rebuild and retain your motivation to return you back to the awesome digital marketer you know you are. One great way I've found to deal with this is to get out on the road to meet some DM friends. Friends who don’t know me too well think I fix computers. Those that know me better think I do something with Google. That’s fine but when I need to talk or vent about Google’s unfairness my frustrations fall on a mixture of deaf ears. 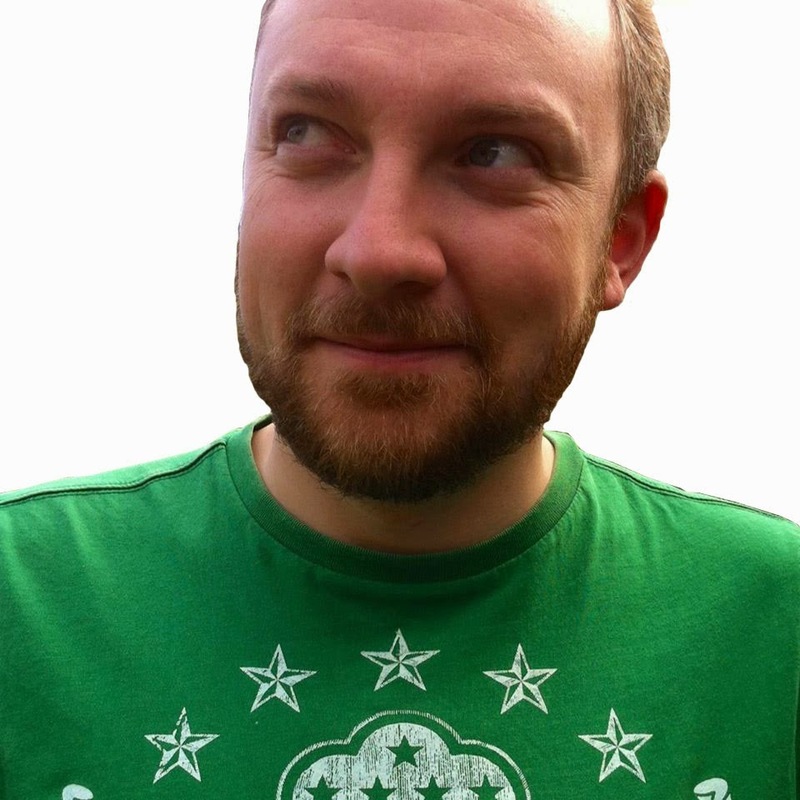 I especially get bemused facial expressions when I start talking iterative or responsive design! Marketing events, conferences and training sessions all open up great networks of similar professionals all solving the same problems. These people can sympathise with your HTTPS rankings drop, or nod knowingly when you try to explain about the hardships of getting buy-in from senior management. And it’s all done in an atmosphere far less stuffy than your regular corporate networking breakfast sessions. I'm actually booked to present at a few of these events in the near future. The first of these is the Digital Engagement Conference in Manchester on the 19th September. I had a really good time there last year and even the just the process of writing the presentation can be therapeutic. It's like compiling your own winners speech where you can thank everyone who made the campaign delivery possible and celebrate completion. I was even awarded 'Top Rated Speaker 2016' meaning I get to deliver the keynote this time instead of being given the graveyard shift as per last year! The other event I'm due to present at is the Chartered Institute of Marketing 'Social media Engagement within construction' on 23rd October. This time I'll be discussing B2B blogging. It's going to be great to meet other marketers in exactly the same industry to share challenges and best practice. Of course, we all reach a point where we're past our sell by date but by ensuring we're among other hungry individuals who are really innovating you can learn so much. 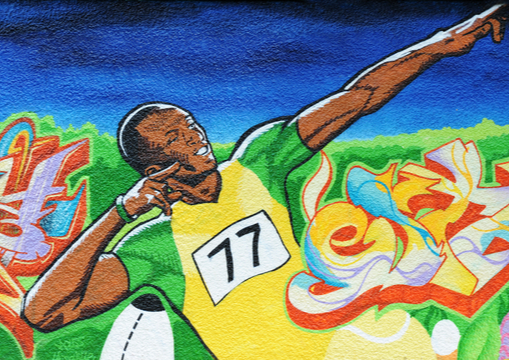 Even sports such as athletics have massive teams behind the individual. No-one can truly succeed without support and a shoulder to cry on. The success of the British relay team at the World Championships proves that other people can be your best asset when times get tough! I've just got home after a week's holiday in the British sunshine. During this time my wife and I have celebrated our ninth wedding anniversary which has gone pretty fast. On returning home, and seeing it with fresh eyes, it was even clearer to me that after all this years our house is in need of redecorating! It doesn't seem that long ago that I took on this mammoth task myself but the wear and tear of four children has taken its toll... The more I look the more I see evidence of missing wallpaper, chipped radiators and dented skirting boards. So what's the best way to tackle the revamp? Rip down everything and start afresh or work on patching up what we have? Like any big project the temptation is to opt for the latter. 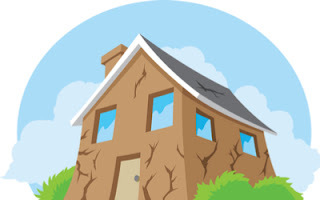 The danger is that once it's all done the money is spent, other more pressing concerns get in the way and things start to fall into disrepair. Everything starts looking out of date and before long it's embarrassing to invite any visitors round! The above is also true when undertaking any big design project like launching a new website. An old rotting website can cause visitors ending up with a bad impression and rarely returning causing damage to the brand. The cycle then repeats itself again at considerable effort and cost. The chief danger here is that for most of the website's life it is operating below peak efficiency. No website is 100% awful yet the most attractive option for a redesign is to bin everything and start again. That means a lot of useful (positive and negative) intelligence is wasted at a considerable cost. It's only once a site goes live that proper intelligence can be gathered on people's reactions (even with a decent amount of user research and testing). But the way in which these projects are planned means that this is the exact stage the money runs out. 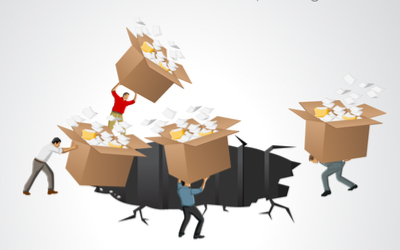 The single worst thing that can be done is to migrate any content across. The equivalent of this is me using old bits of skirting board to make new ones. See it as the perfect opportunity to reduce the size of the site and write only what is needed. By listing the questions the user may have and prioritising them it ensures that no page is wasted. During the build it's easy to try and glory in what has been learnt from the previous site. But by making so many changes all at once, and completely replacing it, how is it possible to be sure? It's not quite this bad! So it turns out I only have myself to blame for my house needed so much cosmetic work all at once! I should have been making incremental improvements all along and not just fixing things when they needed it. By taking this approach to website management the site is always being optimised. It also helps spread the cost rather than having to find a massive lump sum for a complete revamp every five (or ten!) years. There's also no throwing out of good working elements just to recreate them. And of course at risk of sounding like a broken record it allows for "evidence based decisions" (I'm quoting my past self there!) and not wasting time and money building unnecessary features. This approach also helps get new features up and running before the competition and keeps users coming back to what's new on offer. To get this model working there needs to be a decent set of in-house skills. A scaleable CMS means not relying on an agency to access the more advanced features. If the design isn't too wedded to the technology it's even better to allow adaption to any new developments. This team needs to have skills which involve stakeholder management and content creation alongside the usual technical expertise. If the site is built in such a way that it has an excellent pattern library, reusing various components keeps it consistent and easy to update. This way, and just like in the case of redecorating, it ensures that this will be the last big expenditure. After one final big redecoration effort it's time to keep making those improvements and to make sure there is the team to do so. I guess I'm literally the 'in-house' team when it comes to our home improvements. At least one of the many perks of working at Kier is I get a Trade Point card. How long does Google Maps say it is to the nearest B&Q? 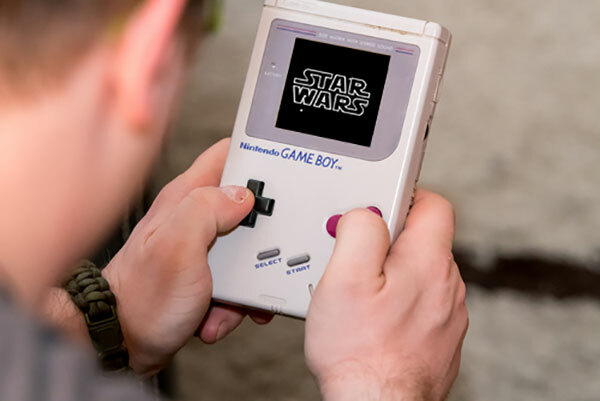 May the force of four AA batteries be with you! A couple of weeks ago my news feed was full of articles defining a new term - 'Xennials'. This is used to describe tiny micro-generation of people between Generation X and Millennials and was coined by associate professor of sociology Dan Woodman from the University of Melbourne. Essentially, those born between 1977 and 1983 (the time of the original Star Wars trilogy) were identified to have very similar character traits. This is that they had a unique experience of pre-internet childhoods that led into a tech-centered early adulthood. I was particularly fascinated by this as I fit within this category (only just!) My formative years were during a time when I didn't have to worry about phones or social media posts. If I wanted to meet up with friends I had to ring their houses and ask their parents if I could speak to them! As the definition of Xennials is quite flattering I was also guilty of feeling proud to identify as one. We are considered less pessimistic than Gen X, defined as being born from the mid 1960s to early 1980s, but not as entitled as Gen Y, born from the early 1980s to late 1990s. While not young enough to be 'digital natives', Xennials grew up with technological advances, and tend to be more comfortable with them than Gen X. To me this explained how I can be old but still possess a grasp of the importance and practical applications of digital! It played to my ego as someone who likes to see themselves as understanding the benefits of technology but not ruled by their devotion to it. Of course, treating a cohort of people like one person with one set of values is problematic. Essentially it's no more sophisticated than horoscopes and can be dangerous if taken too seriously. This concept of generations can however be fun for reminding us of a social context and the experiences that shaped our lives. Sharing jokes about the sound of dial up internet ('nobody use the phone I'm going online!) or 'Asking Jeeves' is about as far as the usefulness of this concept goes. For me, digital marketing was a career which I naturally fell into. I'm thankful that a path opened up to me where I could progress my skills and stay relevant. I put a lot of this down to always having the ethos of being able to see an idea through from start to finish without always having to go through different lines and levels of management. Having a skillset which allows for this is essential. For example, when video editing I edited, produced and directed – that’s three or four jobs being done by one person. 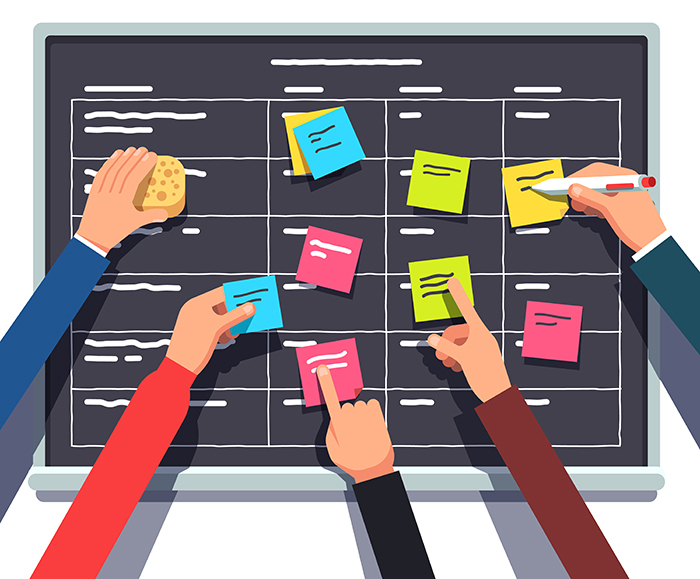 Being able to do this means you can present fully realised ideas to management and get the buy-in you need to progress a project. 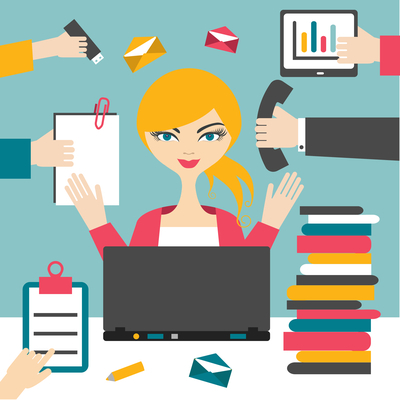 Without this you're very reliant on resources from other parts of the business. I'm definitely too old for this hipster office wear! 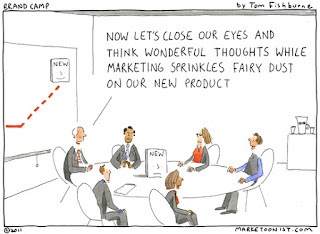 Succeeding in marketing today is having the foresight to not see this method of working as a threat. Many middle managers might be concerned over their job future which is why they stop new, more efficient ways of working getting through. It's also about being open minded enough to realise that different age groups work differently. Being able to listen and learn from both is important. I can honestly say that I've learnt as many skills (both strategic and technical) from those younger than me as from those older than me. To only learn from your superiors means you may become a great corporate thinker but will increasingly lack the latest skills required to actually do the job. To finish I'd like to apologise for writing another age related post. Clearly turning 40 later this year is clearly playing on my mind. I for one can't be so stubborn as to not accept advice from someone younger than me as they are increasingly making up the majority of my colleagues...! 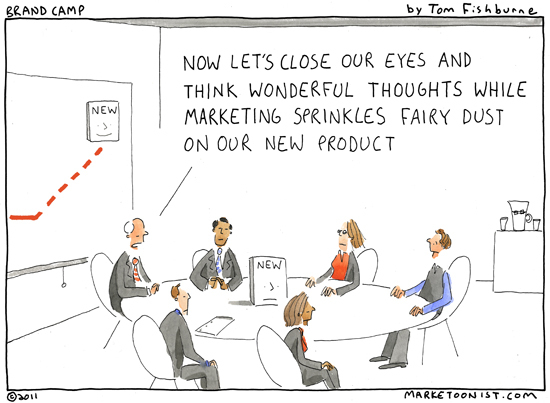 Keeping up with the amount of new features on the main social media channels can be pretty intense. Recently, it seems companies are releasing weekly updates in their attempts to stay relevant. The drawback of this is that they are in danger of all blending into one. As a digital professional trying to retain which channel can now do what requires a lot of brain space. I'm in danger of pushing out vital pin numbers! For some time now, Facebook has collaborated with selected brands to test using video-format cover images. 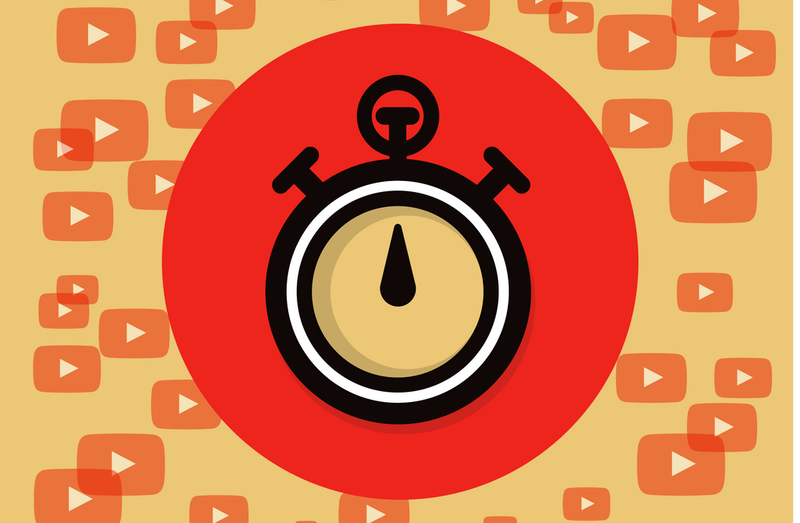 Once the new feature is rolled out globally, the cover video needs to be a minimum of 20 and a maximum of 90 seconds long. The recommended video crop size is 820 pixels by 462 pixels and cover videos should auto-play and auto-loop. 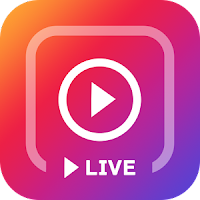 Facebook live has seen an increased amount of usage of late. With the addition of their new 'Live With' feature you can now stream conversations as they happen. For advertisers, this new feature could present a set of opportunities for broadcasting interviews, courses or webinars right in the Facebook news feed. 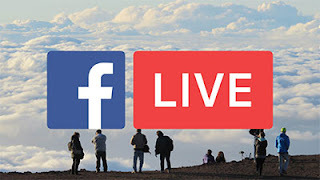 Live video can also now be broadcast from desktop and laptop computers (it was previously exclusive to the mobile app). In a homage to Snapchat users can now make custom camera "frames" that others can overlay over photos and add to their profile pictures. Frames can be seen by everyone near an area if they are tied to a certain Facebook page with a location. Like a free version of Snapchat's geofilters! Nowadays, Twitter advertising is continuously overshadowed by new trendy marketing channels such as Snapchat and Instagram. They also invited a torrent of complaints a few weeks ago following a major redesign. The biggest issue being that, unlike it's rivals, it didn't introduce an edit button. One interesting feature of this update was that users can now watch the engagement numbers with tweets increase in real time within the app. Whether you want to feature your own tweetstorm, content from other people, or both, anyone can now make a shareable Moment to tell a story. You can go into the Explore tab (or the Moments tab on Twitter's desktop site), and create a new Moment there. Or, you can find a tweet you want to feature and create a Moment while you're scrolling or on your own profile. 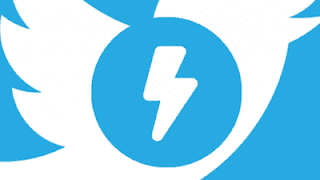 Moments present another opportunity for users to get discovered and shared on Twitter. This is another channel which recently faced a media backlash after introducing a new maps feature. 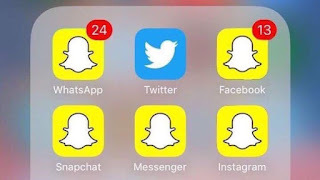 'Snap Maps' allows users to see each other’s locations. If two users follow each other, they can share their locations and see where the other person is and what they are doing. The idea is that users can stay up to date with their friend’s lives and meet up easily. This feature needs to be used with caution as seeing the location of others could potentially compromise their safety. It is automatically turned on for users so the message is to be very careful when adding people as friends. Cynics see this as another way to encourage more people to use Snapchat so they could then use their data to sell to advertisers. Instagram now have a whole suite of supporting apps (Boomerang, Hyperlapse and layout) with Boomerang starting the trend for short looping videos that you now see EVERYWHERE! In the past few weeks, Instagram has released a feature where users can add location stickers to their stories. This means that they can now tag your business in the stories they’re sharing with their friends. This can help build brand awareness and recognition, and it’s a powerful form of User Generated Content. When users tap on the location sticker, they’ll see the option to 'see location'. When they click, they’ll be taken to the page of the tagged location, where they’ll see the business name, a pinpoint on a map, and all the top posts about that location. Instagram Live broadcasts can now be saved onto your camera roll. After the broadcast is over, save it to your phone, and then upload it as a regular video post. If the video is too long for Instagram, you can take it straight to Facebook instead. 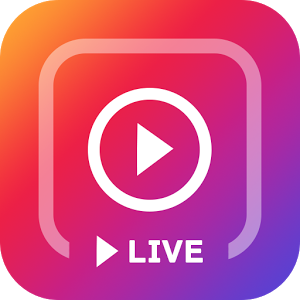 Either way, you can now save your valuable live broadcasts, allowing you to build momentum from them and drastically increase their visibility and engagement. Whereas previously you could only add hashtags to stories manually with text now, when customers watch your story, they can click on the “See Hashtag” prompt. Because the quirky nature of the Stories feature is perfect for the hashtag sticker, it’s a great opportunity to promote a campaign or inspire user generated content (or both). So there's my run down of some notable new social updates. I hope you find them useful. I know I will as writing them down means I won't have to rely on remembering them!